Beautiful ''Monte Carlo'' Model in Isle of Capri at Kings Isle. 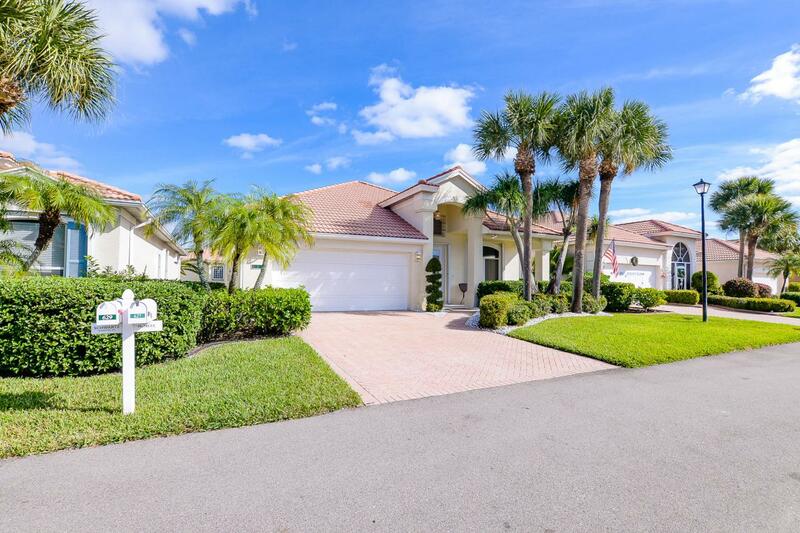 Fabulous 55+ community in the heart of St Lucie West! Features CBS construction, Barrel Tile Roof, Paver Driveway & covered front patio. Hosts 3 Bedrooms, 2 Baths, 2 Car Garage, Glass french doors, foyer entrance, volume ceilings & Living Room/Dining Room. Spacious family room off of charming eat in kitchen with custom wall paper, newer Stainless steel appliances, pantry & breakfast bar. Split floor plan offer large master BR with walk in closet plus extra closet, master bath includes roman tub, separate shower & dual sinks. Large Laundry Room w/ updated front load washer & dryer. 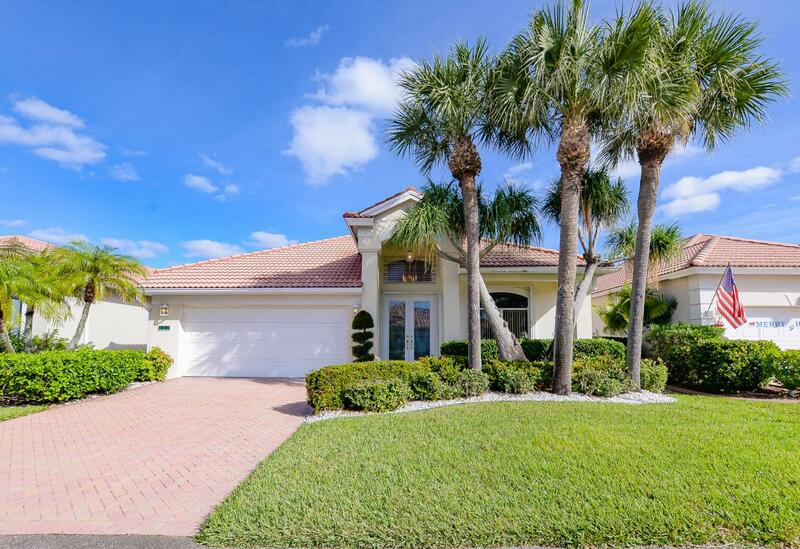 Spacious & private extended screen enclosed lanai in tropical landscape setting. Accordion shutters & Alarm included. Shows Well & Must see!Kings Isle has low HOA Fee's which include Manned gated security, cable, lawn care, manager, common areas & internet. Grand Clubhouse with resort style pool, spa, gym, tennis, basketball, card & craft rooms, lobby, billiards, library, picnic area, shuffleboard & Bocce. Classes, parties, clubs and even entertainment. 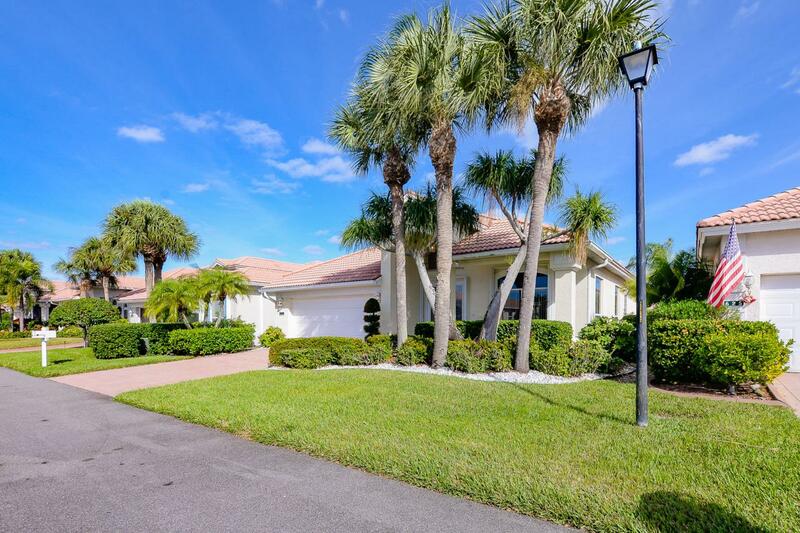 Located in SLW a planned community close to shopping, restaurants, the movies, golf, bowling, doctors and even home of the "New York Met's Spring Training". Beautiful beaches and waterways are found on the Treasure Coast. 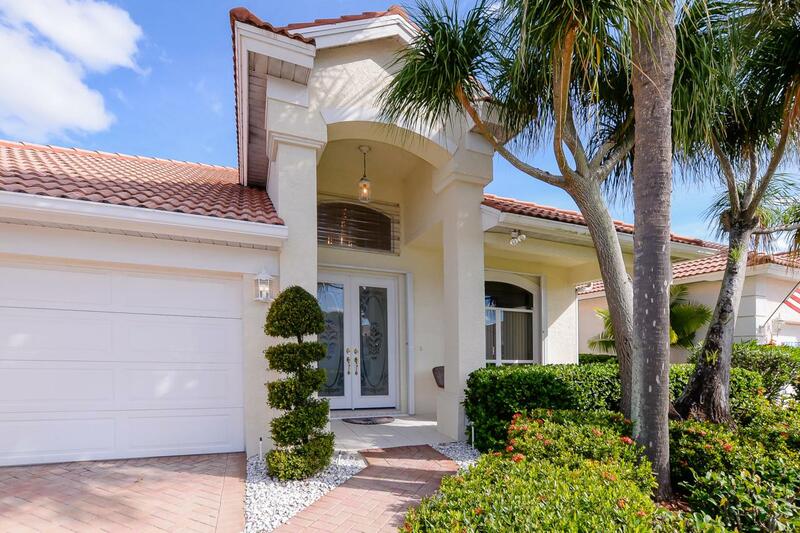 Only 45 minutes from Palm Beach Airport and 1.5 hours from Orlando Airport. This location also offers beautiful weather.